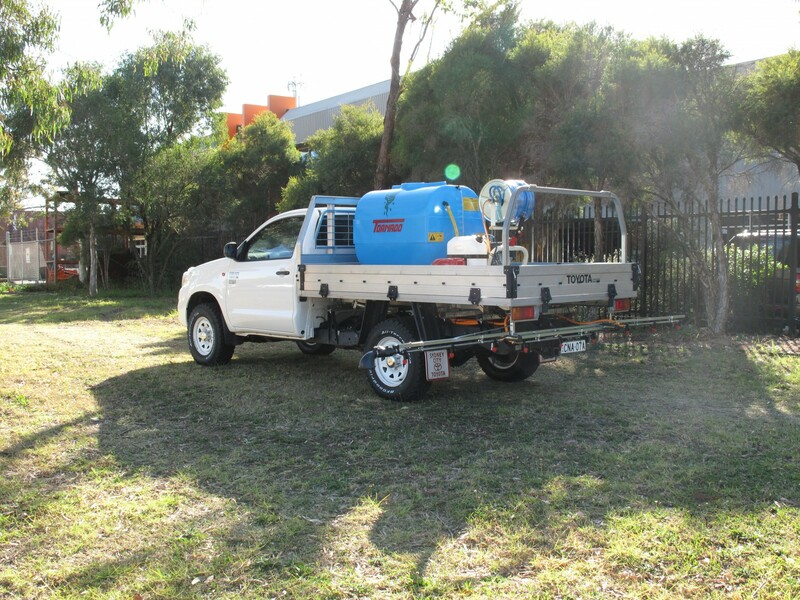 Presenting a good selection of heavy duty tray back sprayers in various sizes. Construction consists of a heavy duty galvanised frame with polyethylene tanks from 200-1000ltrs in capacity. 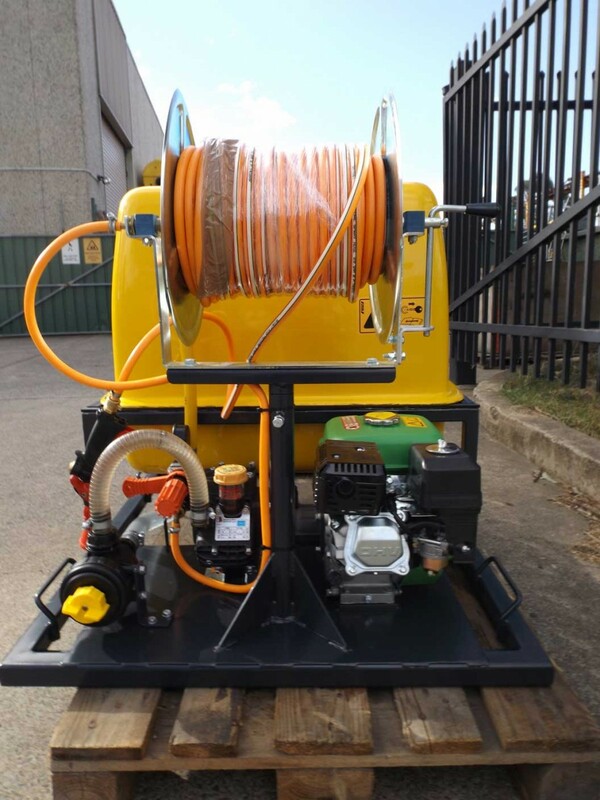 These units can also be fitted with a selection of hose reels with quality pressure hose and various hand held spray guns. Another popular option is the ‘fast-filler device’ used for in field tank filling. We manufacture several versions of Motorised Trailed Sprayers with tank capacity from 200-400-600-800-1000 1500-2000-2500 & 3000Lts in fibreglass and poly. 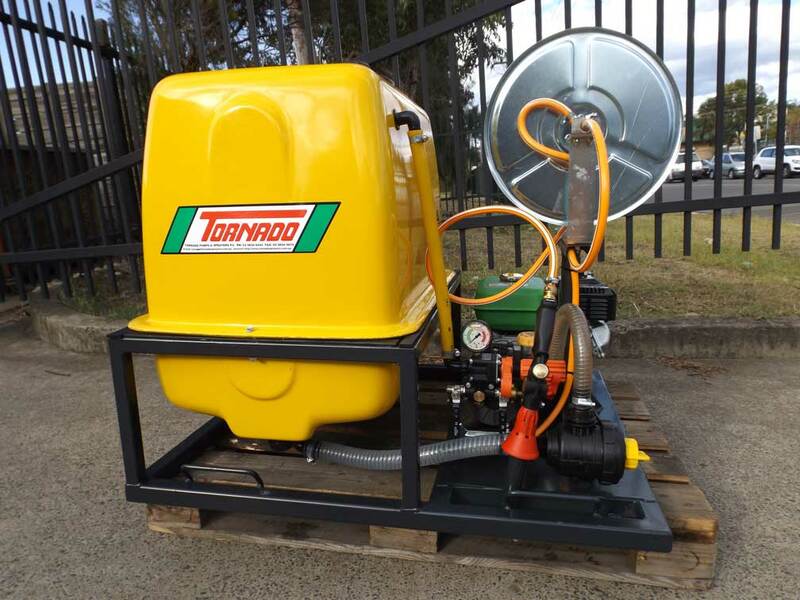 Huge selection of Motorised Pumping Units spray controllers, tyres and axles. PolyTanks: Low profile 200-400-600-800-10001t capacity. LIN stabilised, calibrated, complete with lid and filter basket. - VF25 – 27lt/min – Twin diaphragm – 290psi – 2 outlet control – 3.5HP engine. - PA430 – 43lt/min – 3 diaphragms – 580psi – 3 outlet control – 5HP engine. - POLY2073 – 75lt/min – 3 diaphragms – 218psi – 3 outlet control – 5HP engine. Optional: PA730, 70lt/min with 3 outlet control 9/13HP engine. Our pump sets are matched with Bertolini 6.1 original reduction box.Frame: Galvanised sturdy construction with lift points, compact, hose reel, 360° bracket. 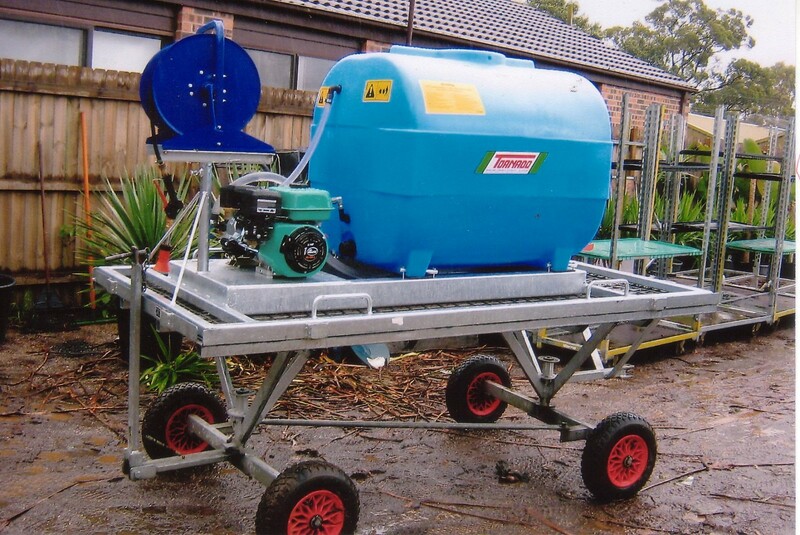 Optional: Boom Spray Brackets, secondary hose reel provision. Pasture spray booms in 6-8-10-12m. Also selection of electric solenoids for in cab operation in 2 to 5 sections with sprayer control panel.